Meline has put on 10kgs during the off-season to step up as Demons midfield. Photos: Supplied. Lucas Meline’s broad shoulders are prepared to carry more leadership responsibility for the Canberra Demons this season after the midfielder packed on muscle during the side’s off-season break. Three years after playing his first game for the club, Meline became the newest member of the Demons’ seven-man leadership group for the 2019 NEAFL season, alongside Andrew Swan, Mitch Hardie, Sam Martyn, vice-captains Mitch Maguire and Tom Highmore and captain Aaron Bruce. 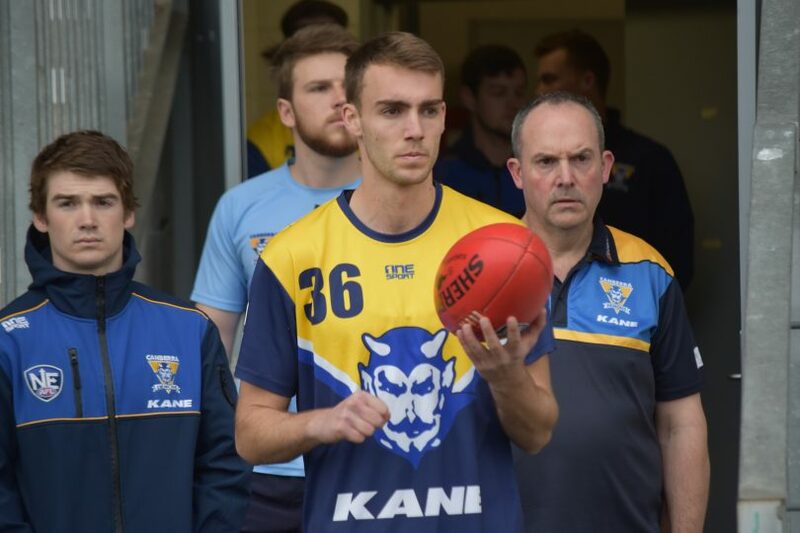 The Leeton product has packed on 10 kilograms during the off-season to step up and help take the reins of the Demons midfield with Mitch Maguire, but he swears the scales were broken. “They had me down as 75 kilograms last year but I think I weighed a little bit more than that, more like 78 kilograms,” he said with a laugh. The midfielder credits his development to four-day gym programs and recipes from a team member’s partner. 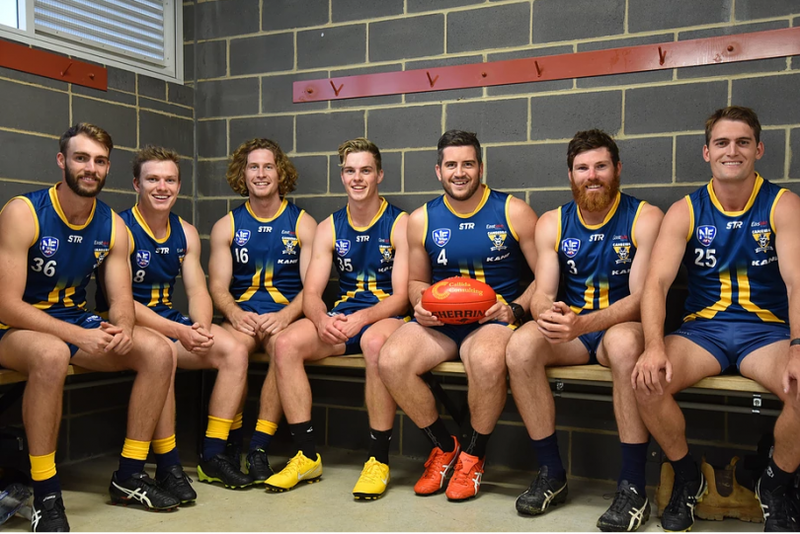 Demons leadership group from left to right: Lucas Meline, Mitch Maguire, Mitch Hardie, Tom Highmore, Aaron Bruce, Andrew Swan and Sam Martyn. Despite his tender years, the 21-year-old was always focused on taking on a leadership role and showed his dedication by toiling away in the gym while teammates went on holidays. “Being a part of the leadership group was where I wanted to work towards, especially here in the club with lots of young guys that we have,” he shared. “To be voted in by your peers in the club is a massive honour. The Demons got their 2019 season off to a winning start on Saturday afternoon (6 April) with an 11-point win over the Gold Coast Suns despite the side switching off late in the contest. The 11-point margin did not reflect a match which saw the Demons dominate, building a 40-point lead in the first half. The side was forced to hold off a resurgence from the Suns in the last quarter to secure the points, which Meline put down to early season fatigue. “Coming up with against those AFL-affiliated sides early on the season who have the ability to run out games pretty well can be tough,” he shared.